former climatology professor, University of Winnipeg. Now residing in Victoria, British Columbia, Canada, Dr Ball addressed the Skagit Education Outreach in the state of Washington. Here is a sketch outline of the address. The role of extremists is to define the limits for the rest of us; that’s starting to happen with the environmental movement. Environmentalism is the new religion. White noise: a stadium full of people. Can you say that you can pick out one item of white noise from that hurly-burly? 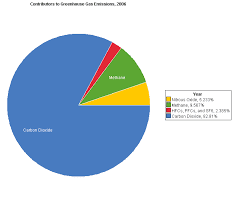 –It is as hard to pick out minimal CO2 from the multitude of factors affecting climate. 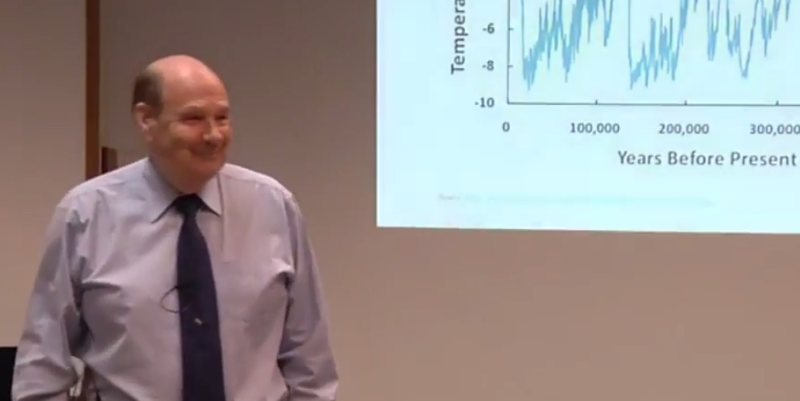 He says that it is at least 5 years since we knew that temperature changes before the rise in CO2. 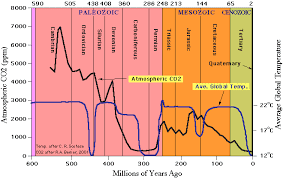 600 million years of history show that the rise in CO2 follows the temperature rise. 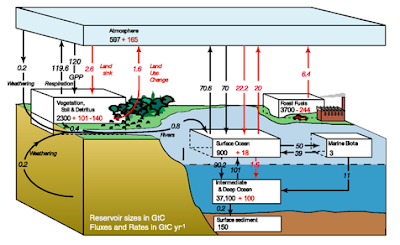 Kind of puts the IPCC's - spread of about 0.25 m, with RCP2.6 giving the least amount of rise (0.40 [0.26 to 0.55] m) - projections into balance, doesn't it? 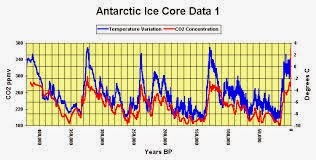 Ice age had atmospheric CO2 at 4000 ppm. 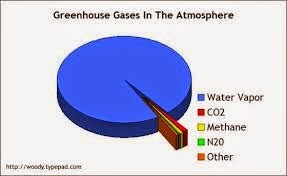 No CO2 warming then! Greenpeace went to Newfoundland and said that they were going to protect the seals that the locals ate, so the locals said that they were going to protect the cod that the seals ate and so they formed a group called CODpeace. During the Little Ice Age (LIA) in 1704, ice was recorded in the Mediterranean in the south of France. The weather men: Ask them what the weather is going to be 4 years from now and you will get the reply: "we don’t do long term forecasts." 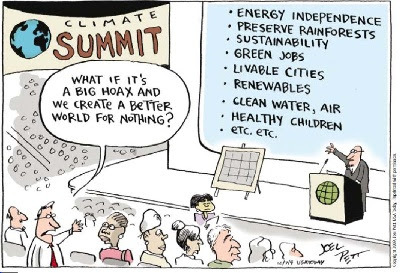 But ask them what’s it going to be 50 yrs from now and you will get the answer…"warmer!" Weather Forecasts for Canada were only 41.5% correct over a year. If you say that tomorrow is going to be the same as today you would get it right 63% of the time. The government’s achieving about 70% - you’re paying a lot of money for that 7%. Tim then discusses Ehrlich and the Population Bomb and Eugenics; and then the Ehrlich-Holdren connection; the Club of Rome and their aim for One World Government and Agenda 21. George Soros was asked –Why do you run for politics? 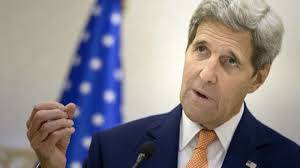 He replied: Oh I’m going to go in the UN where I can get all the money I want and not be accountable to anyone. 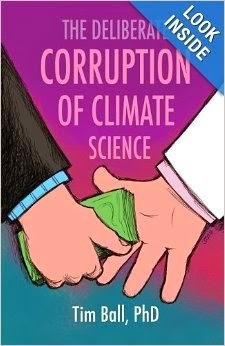 Tim notes that IPCC was set up to only look at human causes of global warming. He reports Dr David Deming's correspondence with Jonathan Overpeck [name not mentioned by Tim Ball] and the response: We have to rewrite history. We have to get rid of the Medieval Warm Period. 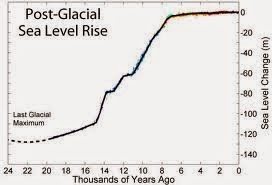 (See here and here) This led to the fraudulent hockey stick graph. Just thought you should know that WOT (Web of Trust) has a warning about this site: "misleading claims or unethical." This is the second or third anti-warmist site I've run across with this warning from WOT. One could almost believe that certain people are gaming the WOT application to discourage visitors to sites that don't follow the AGW gospel. Dr Tim Ball is credible. That tells you all you need to know. Stefan, can you please explain why the tropics, the most consistently warm parts of our planet have high humidity? Just so you know, humidity is the measurement of moisture (H2o) in the atmosphere.